Process your own game with all the top tools in this Outdoor Edge 12 Piece Game Processor Kit. 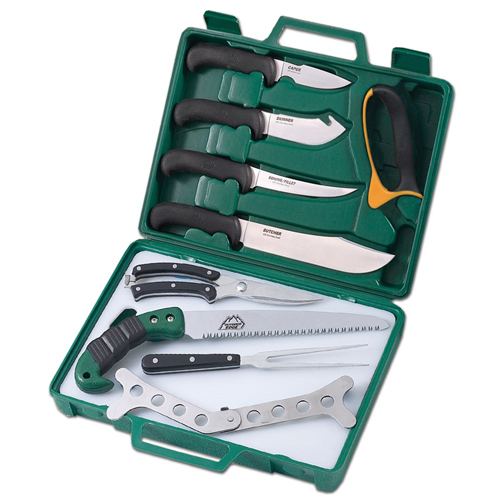 This case has skinning, caping, boning and butcher knives along with a bone saw. The knives are made from 420J2 stainless steel with 65Mn carbon steel for the saw. To round out your set a carving fork, cutting board, ribcage spreader, gloves and a sharpener are included in the kit. Handle Length: 4.8", 5", 4.9", 4.9", 5.2"